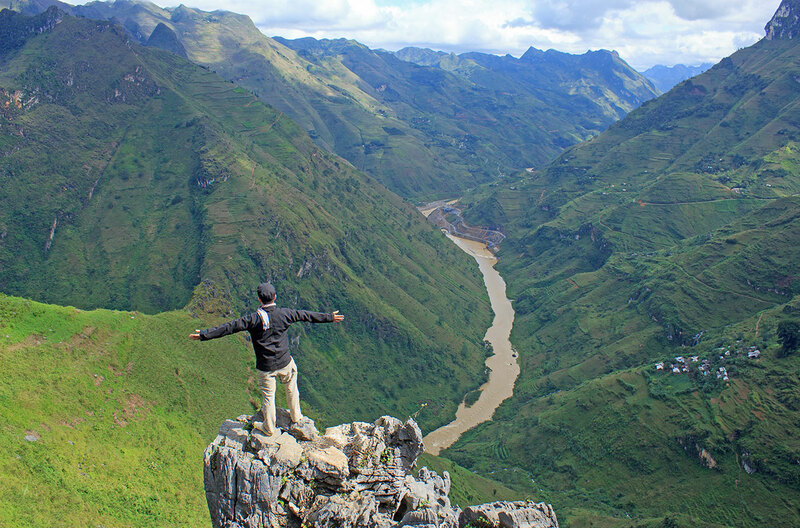 Located 300 kilometers away from Hanoi in northern Vietnam, Ha Giang province is one of the most adventurous destinations in the country. 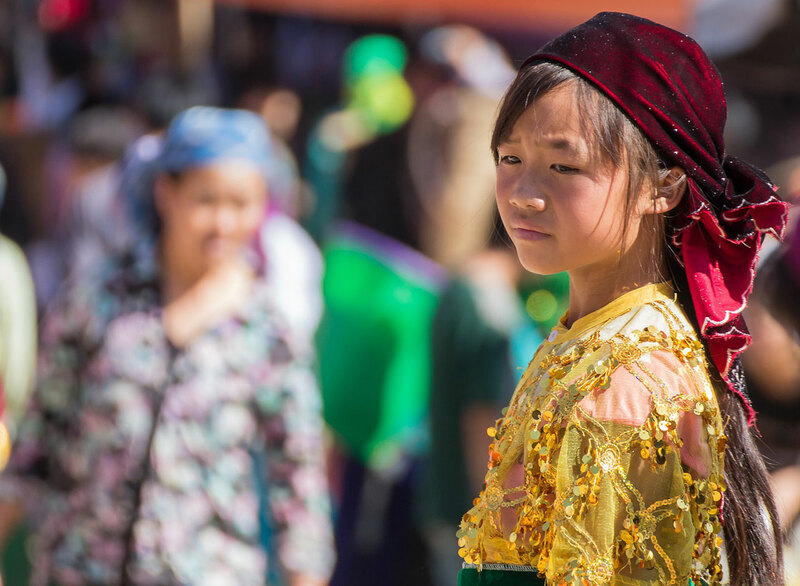 Filled with stunning limestone karsts, steep mountain passes, switchback roads, and misty villages, the province is also home to a wide diversity of local ethnicities who still preserve their traditional culture and lifestyle. 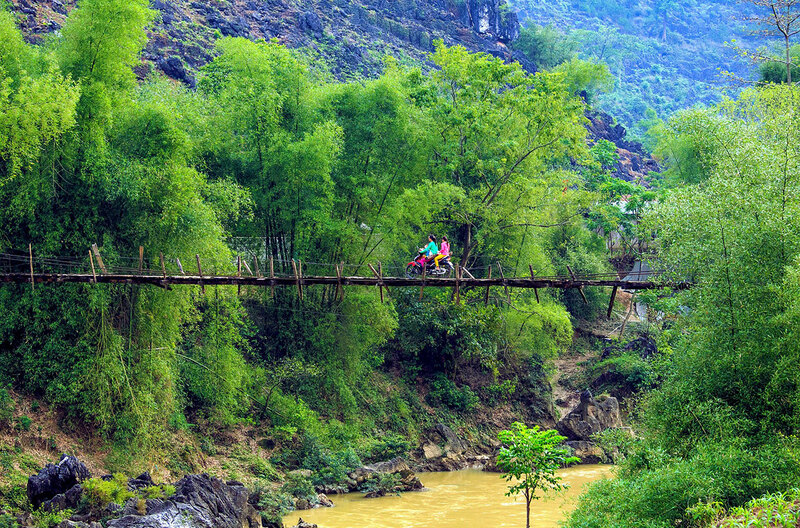 Below you can find a 2-day Ha Giang itinerary that includes the top must-see sights of Ha Giang province. A journey that will take your breath and inspire your soul. 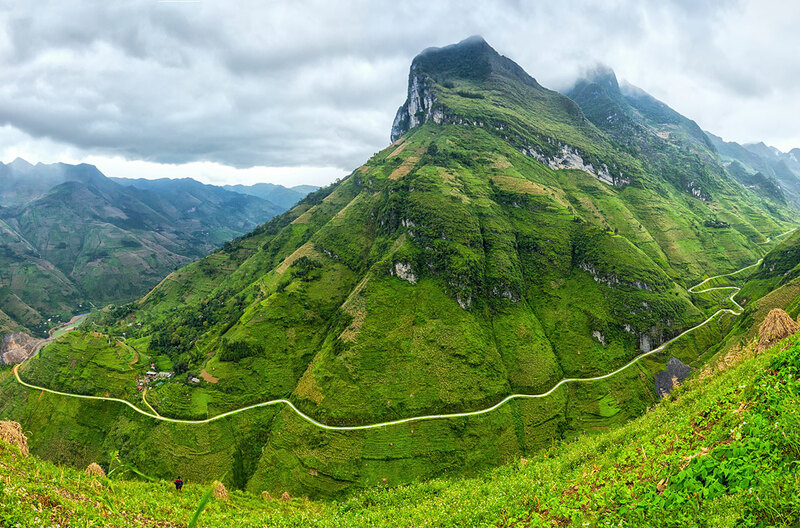 Be prepared to ride approximately 200 kilometers per day to complete this Ha Giang itinerary within 2 days. 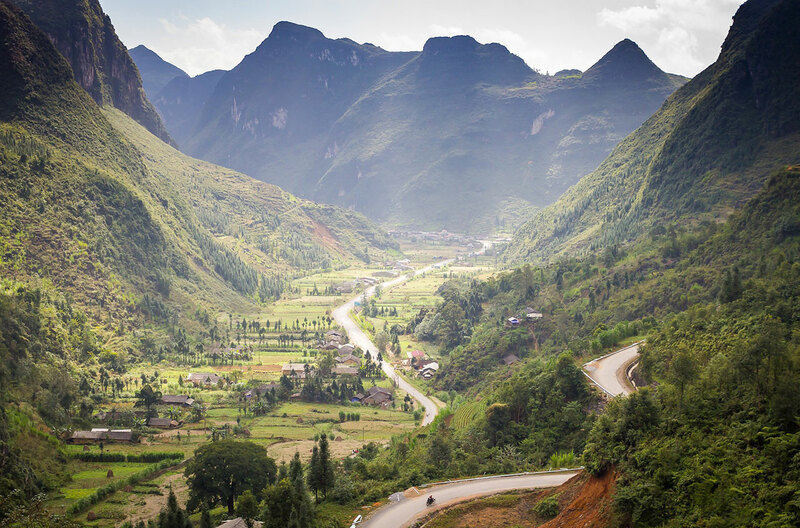 In case you are not confident enough to drive around the hills by yourself do not worry, there are plenty of guided motorbike tours that will take you around Ha Giang. Quan Ba, also known as Heaven’s Gate, is the entrance to Dong Van Plateau. From here, you can commence your journey through the QL4C road by capturing a majestic view of rice terraces and limestone hills. 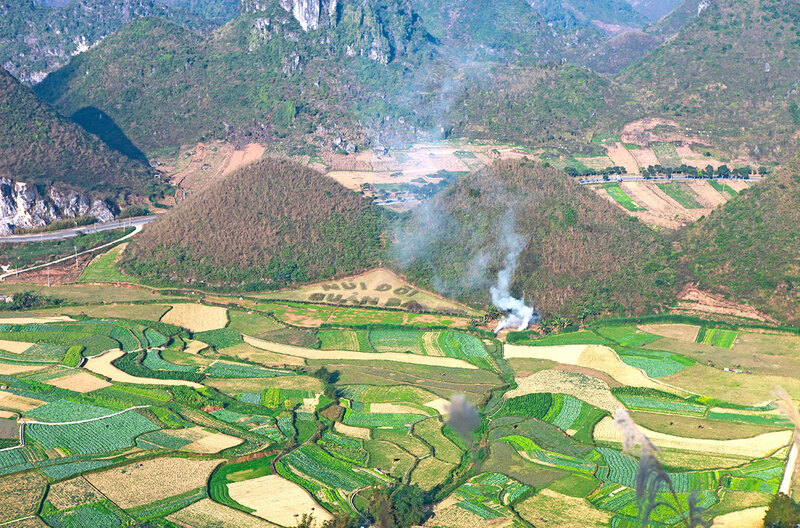 The most famous mountain in Quan Ba is Co Tien Mountain or Twin Mountain, known for its interesting natural shape of women breasts. Stop over at Yen Minh town for lunch. Then continue your journey east into Mien River valley. Observe the river banks flanked by bamboo forests and wooden houses. As you pass by, you will find children playing in the river and local men fishing on its waters. Descending at another side of Yen Minh district you will enter Dong Van Plateau. The rocky valley soon gives way to an overwhelming steep canyon surrounded by dramatic karst mountains. 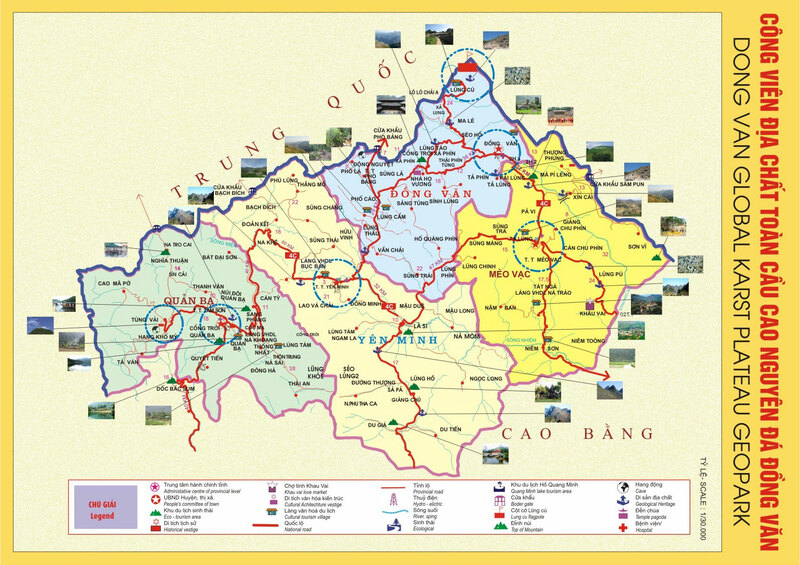 Dong Van is the northernmost district of Ha Giang province. The surrounding natural landscape’s untouched and wild beauty beyond imagination has inspired artists to create unique paintings and poems through decades of history. If you continue to the north tip of Dong Van district you will reach Lung Cu commune, where you can find Lung Cu Flag Tower. 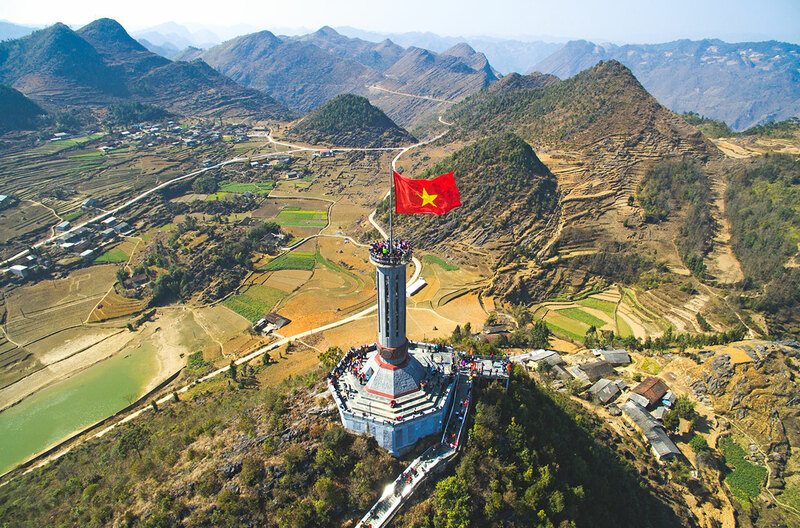 The monument consists of a 30-meter tower topped with a large Vietnamese flag on the summit of Lung Cu Peak, 1,400 meters above sea level. The monument was built to mark the northernmost point in Vietnam close to the border of China. We recommend that you enjoy the sunset at the top of the tower. After visiting Lung Cu, drive back to QL4C road and you will reach Dong Van. 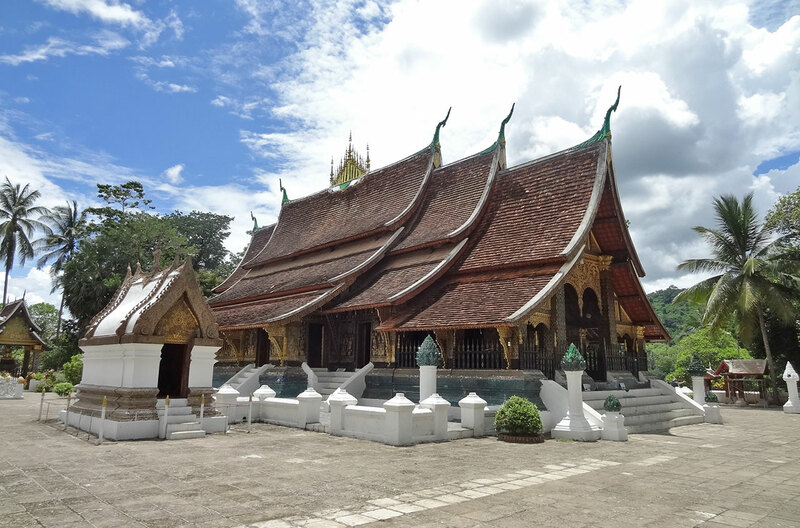 This colorful town is home to Mong, Tay and Hoa ethnic groups. 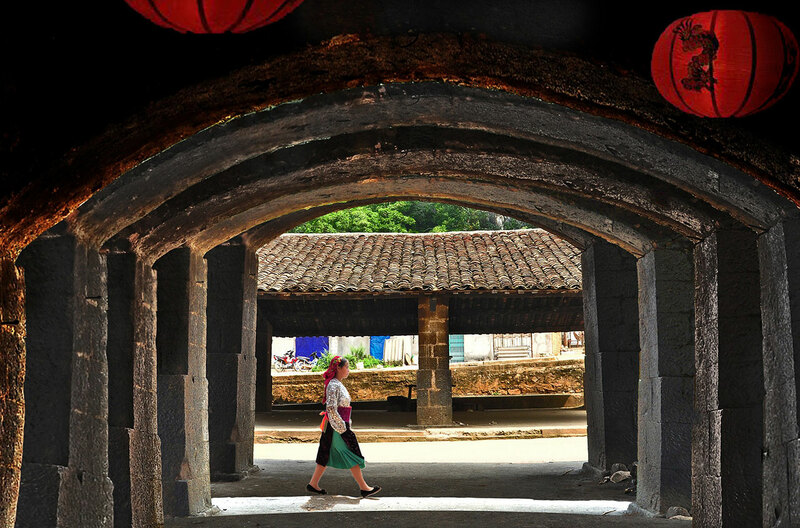 You will find several authentic houses around the old quarter, including the former palace of Vua Meo, the king of H’Mong people. The market is open from every early morning through the day and it is especially bustling on Sundays. There are many hotels and home-stays in Dong Van where you can spend the night. After early breakfast and a short walk around the town, start driving through the famous Happiness Road. This road was built between 1959 and 1965 by 16 ethnic groups from 8 provinces of Northern Vietnam. Some segments of the road, especially along the Ma Pi Leng Pass, required a lot of effort and sacrifice from the young brave locals. 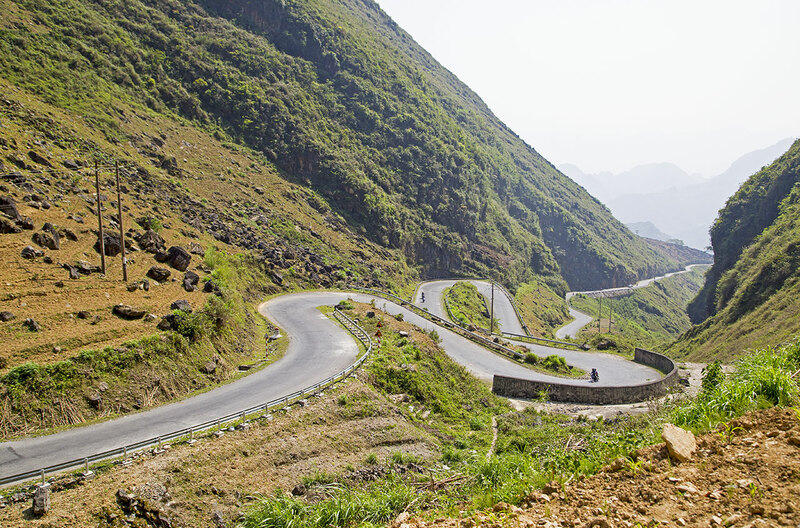 Ma Pi Leng is probably the most epic mountain pass in Vietnam. No wonder why travellers consider it as one of the “Big Four Passes” in the mountains of northern Vietnam, besides Deo O Quy Ho (in Sapa), Khau Phạ Pass and Pha Din Pass. The most scenic part of the Happiness Road is the stretch from Dong Van to Meo Vac. Here, the pass is carved on the edge of the limestone mountain, hundreds of meters above the Nho Que river gorge, one of the most unique tectonic formations in Vietnam. 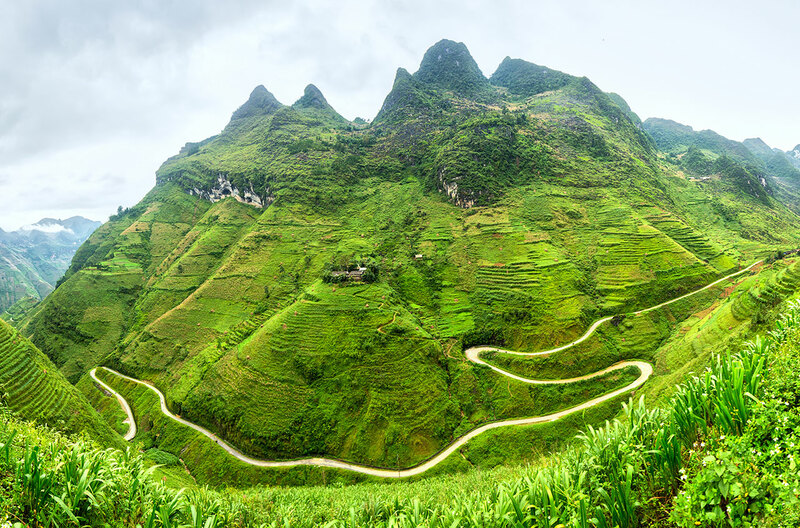 After surviving the Ma Pi Leng Pass you will enter Meo Vac, an isolated rural district of Ha Giang Province lying just a few steps away from the border with China. This historically important town attracts visitors thanks to its authentic cultures preserved by local ethnicities. 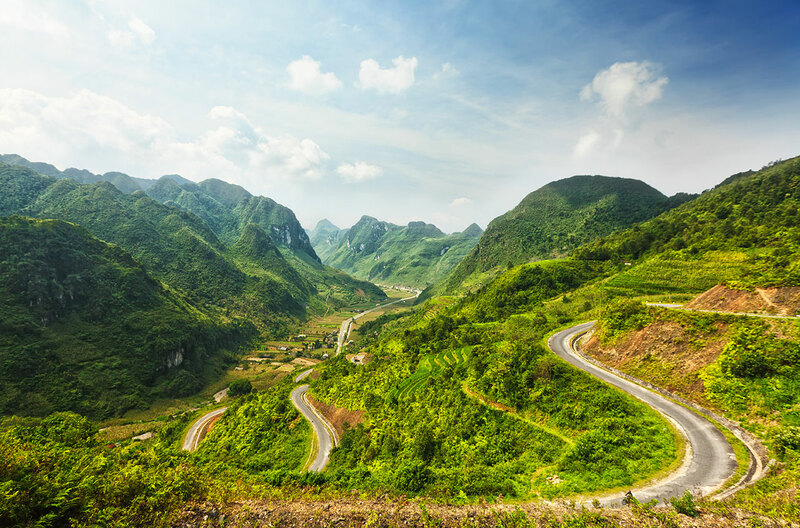 From Meo Vac, you can continue your journey east through QL4C into Cao Bang province or you can return to the capital of Ha Giang heading west through the road DT182, which connects with QL4C in Yen Minh. Once in Ha Giang, you may consider dedicating one more day to visit the rice terrace of Hoang Su Phi, located in the west side of the province, before you head back to Hanoi. 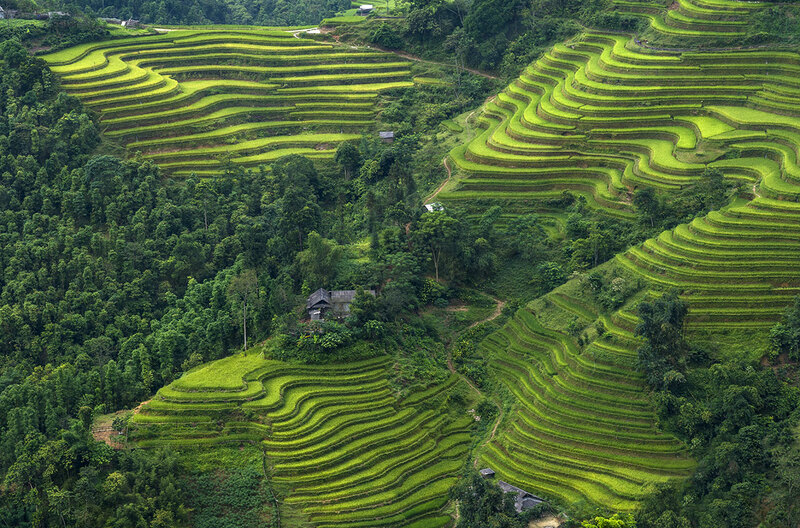 Recognized as national heritage, the rice terraces of Hoang Su Phi attract lots of travellers and photographers all year round and most frequently during harvest season. 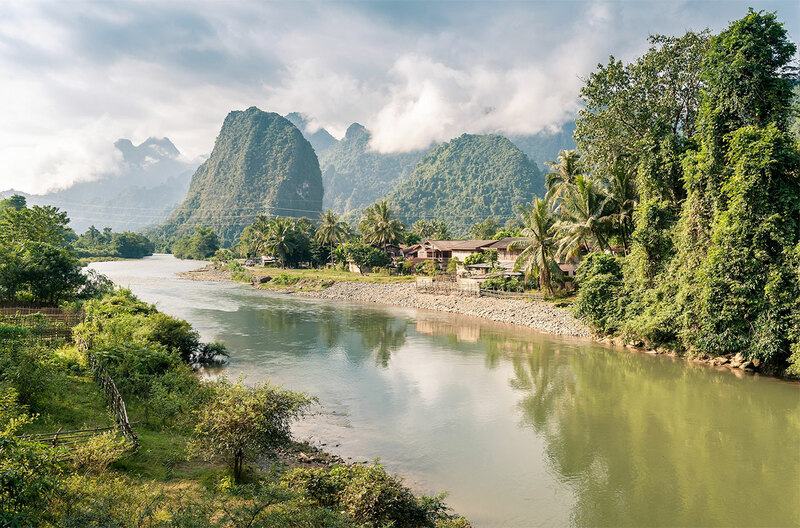 Although you can cross to Ha Giang either from Lao Cai province or Cao Bang province, the direct bus route from Hanoi is still the most convenient way to reach the northernmost province of Vietnam. The company Hung Thanh operates daily bus services from Hanoi to Ha Giang and back from Ha Giang to Hanoi. 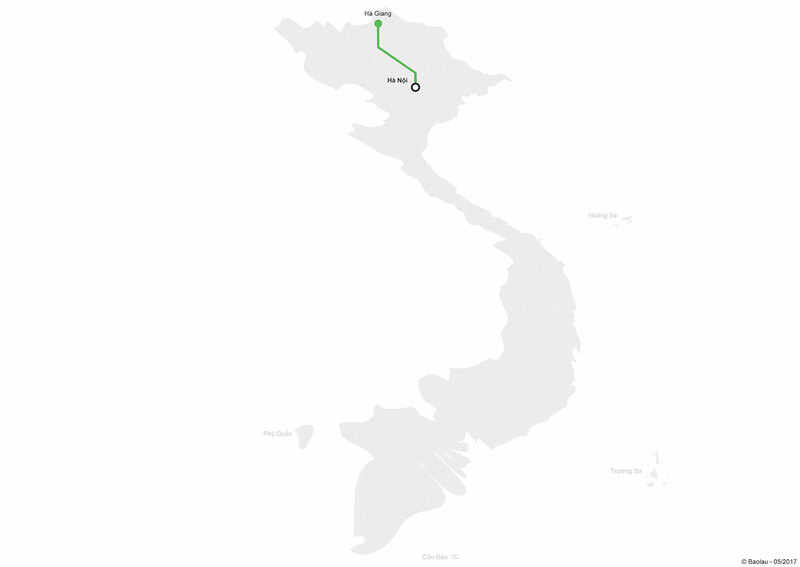 Buses depart from My Dinh Station in Hanoi and complete the whole journey in 8 hours. If you want to save time, we recommend that you take the night bus and arrive at Ha Giang before daybreak. That way, you will have plenty of time upon arrival to eat breakfast and go around the town in search for a motorbike to rent. The fleet of buses is equipped with convenient sleepers, a blanket and a small bottle of water for each passenger. Thanks to our cooperation agreement with Hung Thanh, you can book online in advance with Baolau and receive an electronic ticket that you can print to board the bus in My Dinh Station or Ha Giang Station. 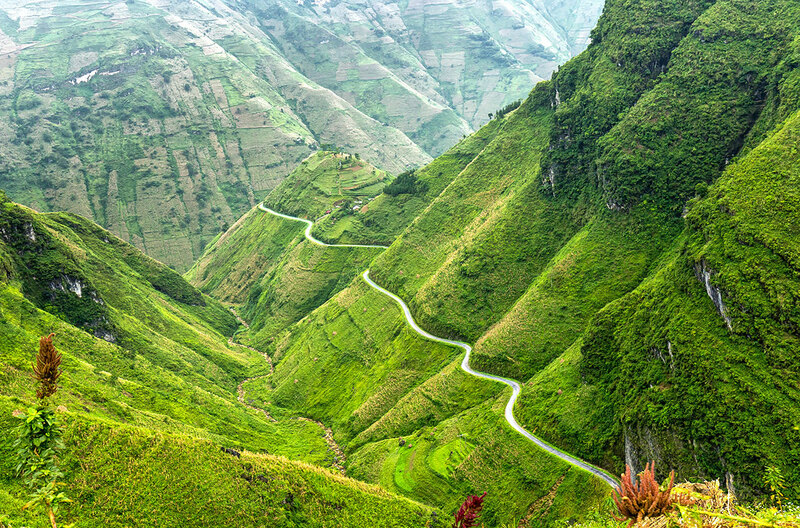 The best way to explore Ha Giang province is by motorbike, as sights are located far from each other connected by mountain roads. Use this Map of Dong Van Karst Plateau Geopark to orientate. Travel to Ha Giang between May and September to indulge yourself in the beautiful grown rice fields, just as impressive as those in Sapa.